I’ve been brainstorming an end of the year piece to put up here for weeks now, because if there was ever a year that deserved some special reflection on my part, it was definitely 2014. The past year was maybe the most memorable of life; I can’t think of another where I had as much fun as I did, where I enjoyed as many accomplishments as I did, and when I grew as I much as I did. At the same time, I know the time and place to get emotional, and this isn’t it. No one wants to read me pour my heart out like a melodramatic actor, that’s what my fiction is for! Instead, I wanted to do something a little more fun and nifty as my way to close out 2014 on my page here, and it was just a few days ago that I came up with the perfect idea—my picks for my favorite pieces of entertainment throughout the year. These are the stories and moments that made me smile the broadest, and kept my imagination stirring for the longest. Not all of these picks were necessarily released this year, as you’ll learn with my choice for my favorite book (my reading list is far too long to keep up with recently-released books), but instead were what I indulged in at some point throughout 2014. After calling myself a Godzilla fan for 20 years, it was really something special to see the King of the Monsters get such well-deserved Hollywood treatment. This was the first time in my life that I got to watch Godzilla on the big screen, and the powerful, chilling reimagining that Legendary Pictures’ produced rightfully restored the Big G to his place as one of cinema’s most poignant characters. 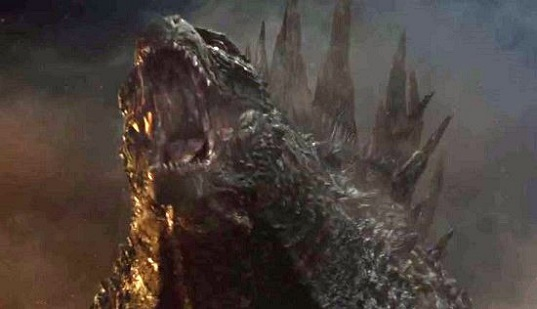 Maybe he and his monstrous adversaries didn’t utter a word throughout the movie, but Godzilla and the MUTOs spoke volumes as they battled for primal supremacy, leaving humanity helpless to do nothing but watch as nature played out before their eyes. It’s almost a cliché that high fantasy literature must be a trilogy, and each book several hundred pages loaded with lore and world-building like something out of a text book. Ursula LeGuin’s Earthsea series thankfully defies that unnecessary trend, and it was the opening tale in the five-book series of stand-alone novels that made the greatest impact on me. 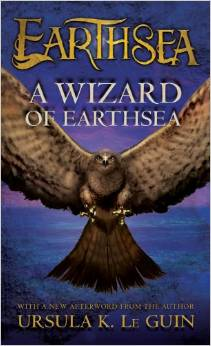 A Wizard of Earthsea tells a complete and engrossing personal tale of Ged “Sparrowhawk” as he matures in age and his magical ability, trying to right the wrong he made in his headstrong youth. Even though it begins and ends in under 200 pages, the book makes incredibly efficient use of its page count by connecting you with the hero, and showing you the world he travels, not merely telling you about it. This was not just the best anime I’ve watched in over a decade, it’s one of the best concepts for a story I’ve ever encountered. A perfect blend of fantasy, sci-fi, adventure, and horror, Attack on Titan provided an absolutely harrowing look at what would happen to a world if it became overrun by giant creatures that humanity was powerless before. An aesthetic masterpiece, it featured some of the most beautiful visuals and most powerful music in any animated medium, both of which contributed heavily to its pulse-pounding moments of action. 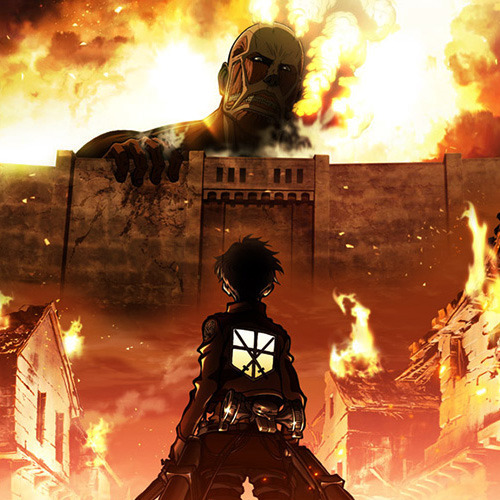 Whether the human characters were being slaughtered by the monstrous titans, or thinking outside the box to fight back against their gigantic adversaries, this show always had something dramatic on display. As found in issues 1-11 of Jason Aaron’s run on Thor: God of Thunder, the God Butcher story arc might just be the greatest tale that Thor has ever starred in. 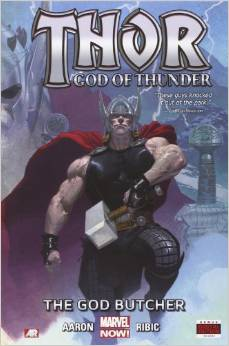 The story provides one of the most twisted and vile foes that’s ever darkened the pages of a comic, a foe so powerful that it required Thors of three different eras to come together to stop him. Seeing Thor at so many different stages of his ‘life’—the young and bold warrior of the past, the heroic and determined hero of the present, and the regretful and contemplative king of the future—painted a sweeping picture of just who Thor is beyond his deific moniker. Esad Ribic’s watercolor artwork was magnificent, each page as wondrous as a painting. At times, it felt like his imagery was far too good to simply be constrained by a square panel on a page. Gaming’s deadliest heroine returned in all her grandeur this year with her Wii U exclusive that somehow propelled the Bayonetta franchise beyond the lofty heights of the original title. 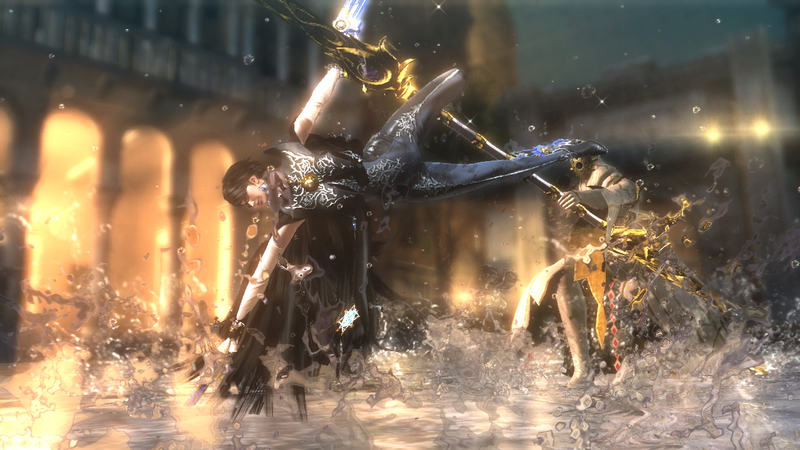 In her second outing, the umbra witch Bayonetta took players through jaw-dropping, often outrageous action sequences that required an expert-level of attentiveness, timing, and reflexes in order to survive. Between battling angelic warriors on a jet plane that flew over a city, going toe to toe with a monstrous serpent before the gates of heaven, or fending off a mountain-sized demon that spewed fireballs the size of semi trucks, Bayonetta 2 always brought a sheer overdose of blood-roiling combat, all the while gleaming with peerless style and charm. As a Yankee fan of many years, I silently prayed for a satisfying sendoff while I watched the Captain take his final bats at home before the Bronx crowd. 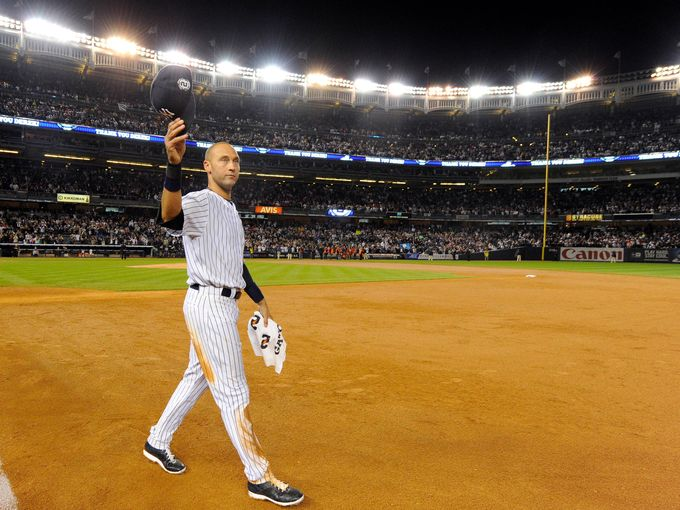 The series of events that lead up to Jeter stepping to the plate with a chance to win the game seemed like they had been written onto a script, but when he cranked that ball into the outfield, pushing the Yankees to a win on his final motion inside his home ballpark, it felt more special than anything you could pen to a page. Following the game’s magical conclusion, I justifiably—very justifiably—got a little misty eyed as I watched Jeter take a walk about the bases and salute the Yankees faithful one final time. 2014 gave me plenty to enjoy and even more to be inspired by. Here’s to hoping 2015 does the very same!